Being a teacher is a tough job. I’m not a teacher and I’m no education expert, but as a parent of four children who have gone through some of their schooling in England and some in Canada I’ve observed and spoken to a lot, as well as helped in classrooms and school events. The best teachers I’ve known pour a huge amount of effort and thought into their teaching, coping with big classes, limited resources and faced with a lot of pressure for sets of results. I agree that there should be standards and improvements, but statistics never tell the whole story as each child is on their own educational journey. Political parties use education to win favour with voters, and to make it appear that they are changing things for the better. When I was growing up I remember that my school year seemed to be the guinea pigs for lots of changes and tweaks, over and over in my time in the system. Some of them positive, some of them just moving furniture around. Most politicians have never taught in a school, but seem to be expert on what should go on in them. Again this is just my observation. I was saddened this morning to see that the head teacher and deputies of the primary school all four of my children attended in England have stepped down as the school has been put in special measures after an inspection in December last year. Now the governing body is discussing changing the school into an academy which seems to happen a lot with ‘failing’ schools in the UK – and, I believe, is an agenda of the current UK government. The news puzzled me. Only the other day I was saying to a colleague at work how great the school was when we were there. Our family spent ten years with children at The Willows first school which then amalgamated with the neighbouring middle school to become The Globe Primary in Lancing, West Sussex. Heather Keeler, the head teacher, and her staff always promoted such a great attitude to learning. The school community was a positive environment, always a small school feel in spite of the large numbers, our children had a great start to their education and were given an enthusiasm for learning in those years. What I appreciated too was that the teachers took time to have the parents come in for topic chats and to learn how to assist with their children’s learning in Literacy and Maths and across the whole curriculum. My children have good memories of their time at The Willows and The Globe and are doing brilliantly in their school careers now. A lot was done right in those early years. I can’t speak for the last four years at the school as we’ve been a few thousand miles away, but knowing the teachers and how hard they work, I’m sure there’s more to the story than the headlines that I see now. 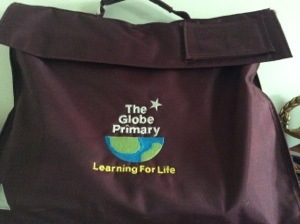 I’d like Mrs Keeler, Ms Watts and Mrs Jordan to know how much we appreciated being part of The Willows/Globe community. I hate to think of them retiring or moving on to other things with the word, ‘failure’, hanging over them when in reality they have had a positive impact on my children’s and so many children’s and families’ lives and learning, and not them alone, but the whole staff. I hope that the governing body, the staff and the parents will all work together and put the interests of the children ahead of any political agenda there may be in decisions about The Globe’s future.